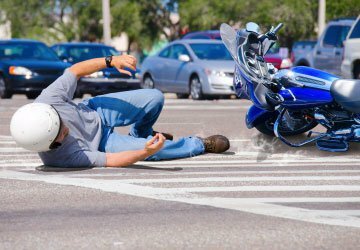 Motorcycle Accidents | Eduardo De La Cruz-Munoz P.A. Motorcycle accidents are very serious for those involved, as the motorcyclist may suffer severe injuries or even death due to the limited protection offered by a motorcycle. Even minor impacts at any speed can result in major trauma, disability, and in some cases, the death of the motorcyclist. Data has revealed that the majority of serious or fatal motorcycle accidents are the fault of the other driver. This is likely due to the fact that motorcycles can be difficult to see, often drivers fail to notice motorcyclists. If you or your loved one has been involved in a motorcycle accident resulting in serious injury, trauma, or death, we at the Law Office of Eduardo de la Cruz Muñoz, P.A. will aggressively pursue every avenue available to obtain full compensation for all your losses stemming from the accident.